In the spring of 1988, a woman living on a reservation in North Dakota is attacked. Geraldine Coutts is traumatized and reluctant to relive or reveal what happened, either to the police or to her husband, Bazil, and thirteen-year-old son, Joe. While his father, who is a tribal judge, endeavors to wrest justice from a situation that defies his efforts, Joe sets out to get some answers of his own. The quest takes him first to the Round House, a sacred space and place of worship for the Ojibwe. And this is only the beginning. Louise Erdrich's novel embraces tragedy, the comic, a spirit world very much present in the lives of her all-too human characters, and a tale of injustice that is, unfortunately, an authentic reflection of what happens in our own world today. 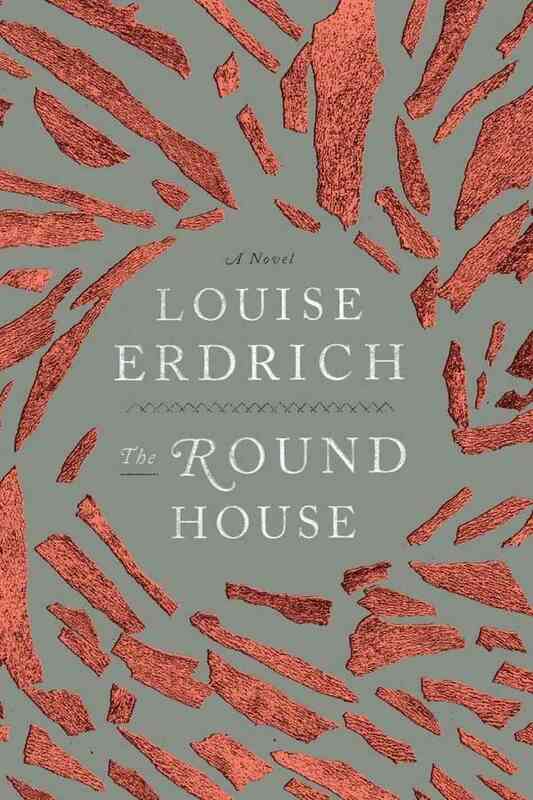 If you pay attention to the world of "very important book awards", you know that The Round House was the winner of the 2012 National Book Award for Fiction. That's a big deal, y'all. As soon as I heard that Erdrich's novel had won, I knew I had to read it. I adored one of the other finalists (This Is How You Lose Her by Junot Diaz) so if a novel was beating that in competition? My interest was piqued. The beginning of the book definitely drew me in. Joe's peaceful life on the reservation is rocked very suddenly when his mother arrives home late one Sunday, severely beaten and bloodied. She is mute as to what happened, and Joe and his father are immediately compelled to find out who did this to her. If that's not enough to throw you into a good mystery, I don't know what is. Erdrich unveils this tragic occurrence while also carefully detailing the ways of life on the Ojibwe reservation, something that I knew very little about. This combination of gruesome, mysterious attack and compelling detail makes for a great intro. However, I can't say I loved the rest of the novel. The pace slows down (a lot), and the identity of Geraldine's attacker becomes clear very early on. This isn't a case of an author mishandling a mystery--no, it becomes obvious that the identity of the attacker is not the point of this story. Instead, the novel attempts to expound more upon the struggles of Native American life on a reservation, their historical and familial roots, different laws and struggles they face vs. non-reservation residents, etc. I'm not saying that's a bad thing. If you go into the novel expecting and wanting this, you'll probably love it. However, based on the description (and the hype), I was expecting a plot that moved faster and had more elements that would surprise me along the way. That? I didn't get. But I did get an artistically written picture of injustice and Native American life, which wasn't a totally unwelcome alternative. It's so hard to review a National Book Award winner. How can you say anything bad about a book that the Literary Elite has deemed Amazing? But I wouldn't call this bad--that's kind of a strong word. I think I went into it with the wrong expectations. This isn't a book that focuses on one particular character or event. It's much larger in scope, and written with the words "cultural epic" in mind. I think it just wasn't totally for me, given the direction and tone that it eventually took. As for the audio version--I was at first unsure of the narrator, Gary Farmer, who has a very measured (and occasionally monotone) voice. However, I quickly grew to enjoy his narration, because it's entirely fitting of the tone of the novel. The only downside to the audio is that some parts of the novel don't seem to lend themselves well to that format. There are long sections of Native American folklore that felt rather boring and tangential when listened to. I probably would have gotten more from them if I was reading in print. But otherwise, a very good narrator, fitting for the story at hand. Have you ever felt lukewarm about a critically acclaimed novel? I also have such a hard time with the whole "this book won an award so I must think it's amazing" type of thing! Like what made it win an award??? I do the same with classics, like why is THIS a classic???? I agree. I think part of my issue is that book judges for those awards look for different things than I do in a "good" book. Yes, I want it to be well-written, but I also want a pretty explosive plot...and they aren't always concerned with that. I really liked this one. But I read it before the hype, I think that helps so much. Also I have a lot of ties to the Native American community and I think that made this more interesting to me. Reading it before the hype would definitely help, I think. Cool that you have ties to the Native American community--if anything, this book did definitely give me some good insight into that area of culture. You make an interesting point about the expectations we have going in to a novel. .. hmmm. They can make a huge difference! I think when a book description throws you off, it affects your reading of the novel.